If you think of luxury brands related to the sprawling Volkswagen group, quite a few of them have an SUV in their model portfolio. Porsche offers several, Bentley has the Bentayga, Lamborghini has the Urus, and it appears that Bugatti is also considering expanding its lineup to a high-riding vehicle. At least that's what company president Stephan Winkelmann is saying. 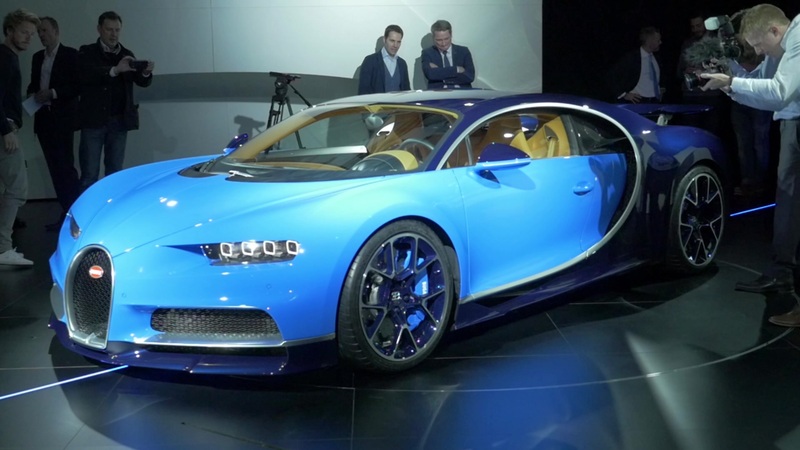 Currently, Bugatti makes the Chiron in various guises, and it also showed the Divo at the Paris Motor Show. Speaking to Automotive News at the Paris show, Winkelmann said that "the brand is ready for more," and that while the W16 engine is currently the focal point of the storied carmaker, it needn't always be so. "The W-16 engine is at the core of the brand today, but it won't remain the heart forever." Winkelmann said the company is evaluating engine and chassis options, as well as a possible name for an SUV. Last month, Winkelmann told Car Advice that the 1,500-horsepower W16 isn't irreplaceable, and that the company is thinking ahead. "This will be the last of its kind," said Winkelmann then. "Sooner or later the legislation will force everybody to take radical steps. [...] If you want to be on the edge of advanced technology, it's important you choose the right moment to change." In Paris, Winkelmann, a former Lamborghini executive, added that "a hybrid engine could be part of the future — you have consider social acceptance in terms of emissions." The numbers need to work out, as Bugatti has been making limited-edition hypercars instead of mass-produced vehicles, and an expansion like that must be justified to company shareholders. SUVs have turned out to be profitable for other manufacturers formerly known for just sports cars or luxury cars, and Lamborghini has disclosed that the Urus has been heartily welcomed in regions not normally considered supercar-friendly, such as Russia.